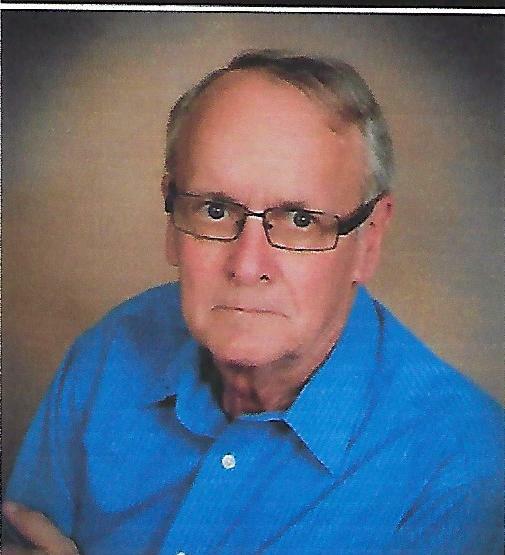 Paul James Berowski, 72, of New Athens, IL; born on June 25, 1946 in Kansas City, MO, died on Friday, March 29, 2019 at his home. He moved to Belleville, IL on March 12, 1948, when he was adopted by loving parents, John and Dorothy, nee Ott, Berowski, who preceded him in death. He was also preceded in death by his father-in-law, William Nollau. Paul is survived by his wife of 51 years, Judith K., nee Nollau, Berowski. His sons, Scott (Tammy Cross) Berowski of Irondale, MO, and Mark (Stephanie) Berowski of Smithton, IL. His grandchildren – Christopher Berowski of Farmington, MO, Alex Berowski of Smithton, IL and Allison Berowski of Smithton, IL. His mother-in-law, Mabel Nollau of Freeburg, IL, his sisters-in-law, Barbara Aumann of Mesa, AZ and Mary (Charles) Kujawski of Hecker, IL. Nephew, Charlie Kujawski of Hecker, IL and niece, Dr. Jennifer Steinbaugh of Waterloo, IL. Also survived by numerous cousins. Paul Berowski retired in 2002 from New Athens School District #60 after 34 years of service as a German teacher, English teacher and High School Principal. His passion for travel took him first to Germany and then on to many countries in Europe and later to Peru and Brazil. He and Judy also enjoyed frequent trips to Florida beaches and camped in some of the most beautiful national parks in the USA. Paul attended St. Agatha Catholic Church where he previously taught PSR classes. He was always active with his sons, both as a soccer coach and various Scouting positions. In retirement Paul was a member of New Athens Rotary and volunteered in transport at Memorial Hospital. Memorials may be made to Alzheimer’s Association, St. Agatha Catholic Church or to Hospice of Southern Illinois. Visitation: Friends may call at St. Agatha Catholic Church in New Athens, IL on Tuesday, April 2, 2019 from 4:00 p.m. to 8:00 p.m. (Prayer service will be held on Tuesday at 4:00 p.m.) and on Wednesday, April 3, 2019 from 9:00 a.m. to 10:00 a.m.
Funeral: A mass of Christian burial will be held at St. Agatha Catholic Church in New Athens, IL on Wednesday, April 3, 2019 at 10:00 a.m. with Father Mark Reyling officiating. My deepest sincerest condolences to Judy and her family. I have unforgettable memories with Paul and his family many good conforsation and laughter. Prayers to the family and God bless. Our deepest sympathy to Judy and her family. Will keep you and your family in my thoughts and prayers. RIP to one cool dude. Thanks for the memories, Mr. Berowski, you will be greatly missed. My sincerest condolences to the Berowski family. Paul was my scouting leader as a kid, then m CCD teacher in jr high, and finally even my teaching colleague in later years. An admirable man who always devoted himself to a life of service to others. God bless. Herr Berowski was a wonderful German teacher. I was one of his very first students at NACHS, class of ’70. Our German class broke him in well. Funny, I learned so much in his class and still use it at times. He was funny, patient and able to make what could have been a boring class very enjoyable. I enjoyed German I so much that I took German II. My condolences to his family who he loved very much. Great teachers teach their students for a lifetime. He was a great teacher. My condolences to his family. He was a great person! Unforgettable, our GAPP-trip to New Athens in 1991. My deepest sympathy to the Berowski family. I have fond memories of Paul – growing up down the street from him and then seeing him coach our boys’ soccer team. Such a great guy. Your family will be in my prayers. Deepest condolences to the family and frienda. Fond memories of being in his classes. Awesome teacher. God bless him and his family.